As the wife, daughter, and granddaughter of men who served in the Armed Forces, Veteran's Day holds a special place in my heart. It's a day to honor those men and women who have put their lives on the line to protect our freedom. 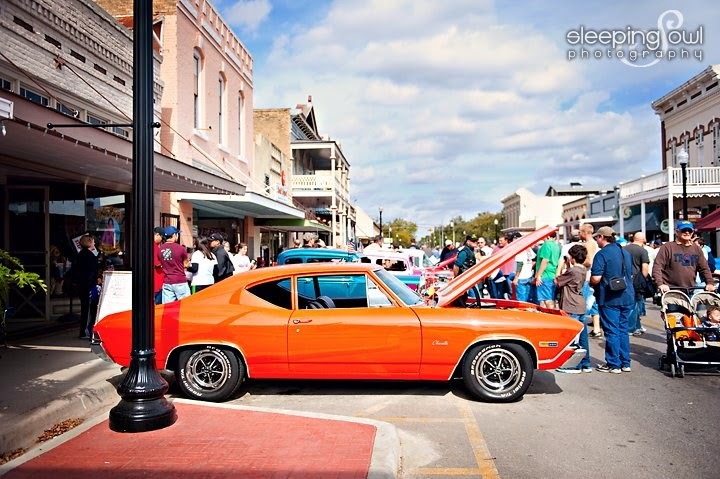 Every year, Bastrop celebrates Veteran's Day with a huge car show and festival, a Veteran's March and Tribute Ceremony, and the Red, White, and Blue Banquet. 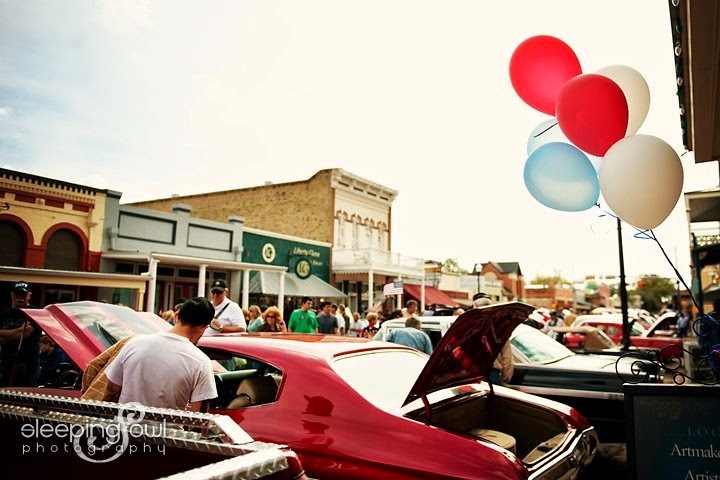 The car show brings in people from across the state and typically showcases 200-300+ classic cars, hot rods, and trucks lined up on Main Street and throughout the downtown area. 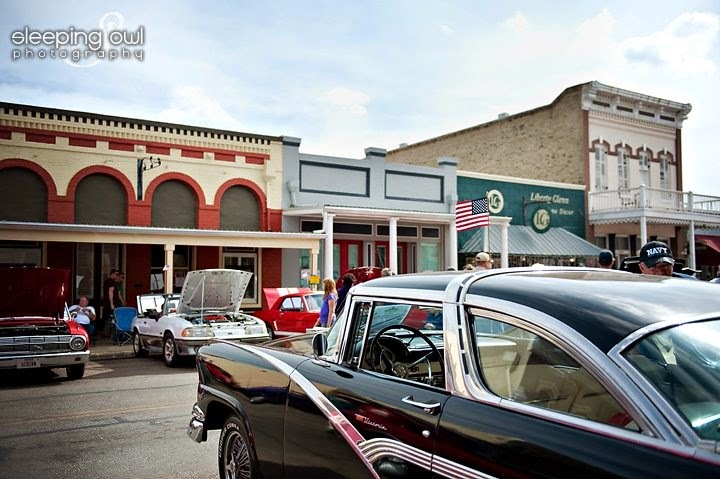 This year, the Veteran's Day weekend starts off on Friday, Nov. 7th with a Classic Car Cruise down Main Street from 5:30-8:30pm and a Rock-N-Roll Costume Contest at 7:30pm. 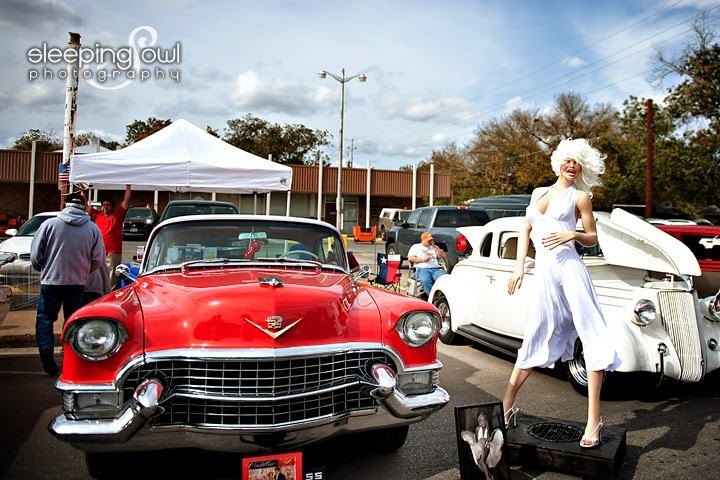 On Saturday, Nov. 8th, the Classic Car Show begins at 9am and continues through 5pm with live music, food, and shopping throughout the day. The Veterans March and Tribute Ceremony will take place at 11am at the corner of Main & Pine Streets and will feature guest speaker Brigadier General Sean Ryan and a Commemorative Air Force Fly Over. At 1:30pm, there will be a Texas Rangers Cross Dedication at Fairview Cemetery. The Red, White, and Blue Banquet will take place on Saturday, Nov. 8th at the Bastrop High School Cafetorium. Doors open at 5:45pm and the formal program begins at 6:30pm. 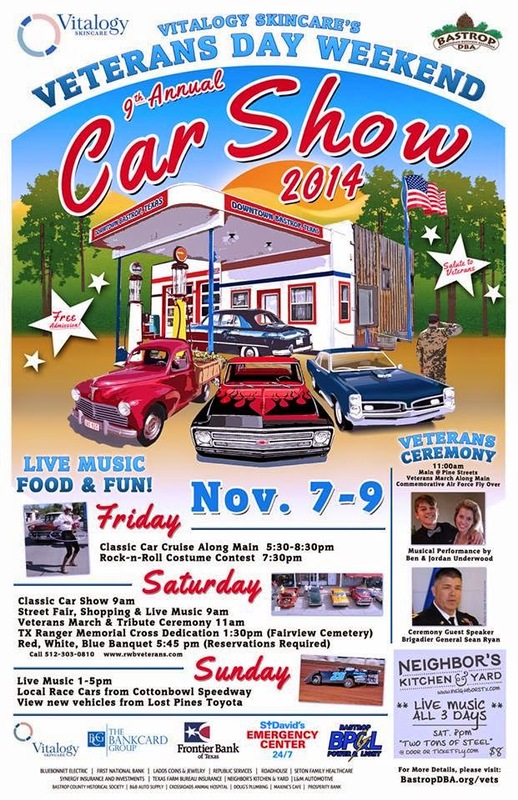 Tickets are $25 each or $12.50 each for Veterans and spouses/widows of Veterans. The guest speaker will be Rear Admiral, U.S. Public Health Service Assistant Surgeon General, Epifanio (Epi) Elizondo, PhD PA-C. The weekend-long celebration concludes on Sunday, Nov. 9th with live music from 1-5pm, local race cars from Cotton Bowl Speedway, and new vehicles from Lost Pines Toyota. As a special tribute this year, Bastrop's Veteran of the Year, George Finan, will also be honored on Saturday at 10:30am on the main stage. George Finan is a 98-year old World War II Veteran and a survivor of Pearl Harbor. During the attack on Pearl Harbor, he was able to get his fighter plane airborne to take out two Japanese Zeros. 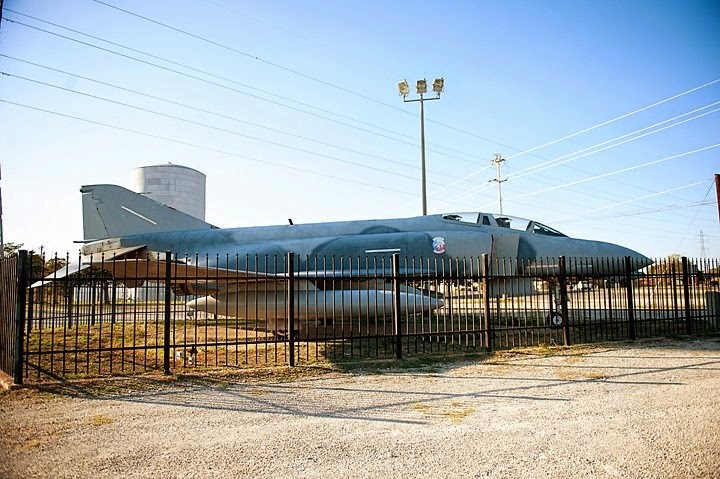 He has flown B-17s, P-38s and T-33s. 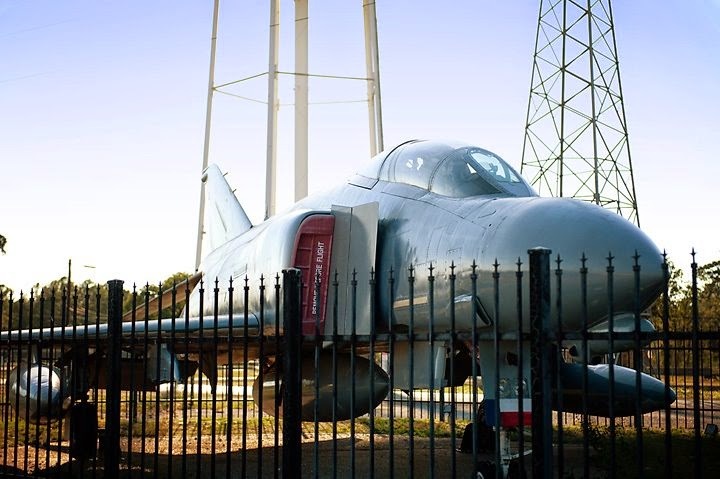 In the Vietnam War, he flew bombing raids over North Vietnam, and he has been awarded two distinguished flying crosses. 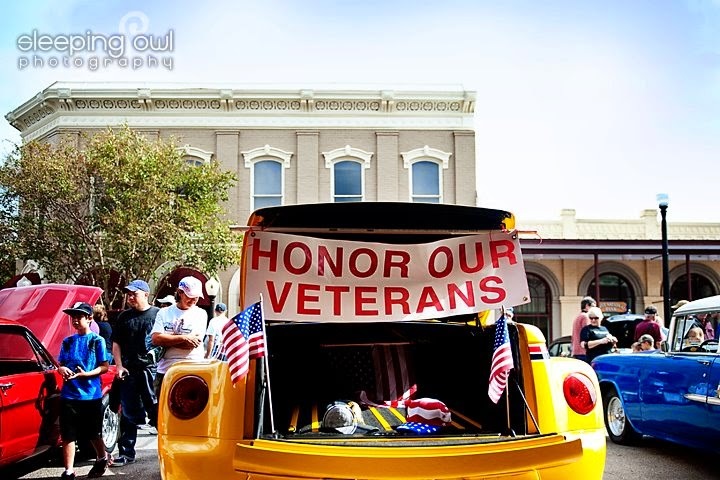 This weekend, come out to downtown Bastrop not just for the cool cars and live music, but also to thank local heroes like George Finan for their service to our country and to honor all of our Veterans. They certainly deserve it! 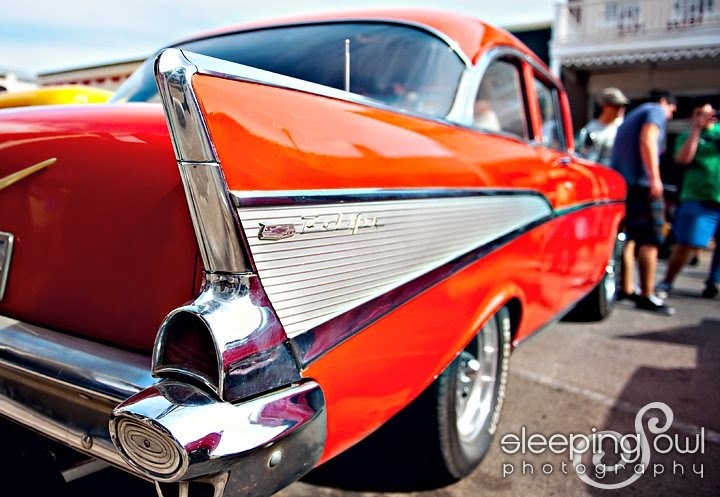 For more information about the Veteran's Day Car Show, visit www.bastropdba.org.